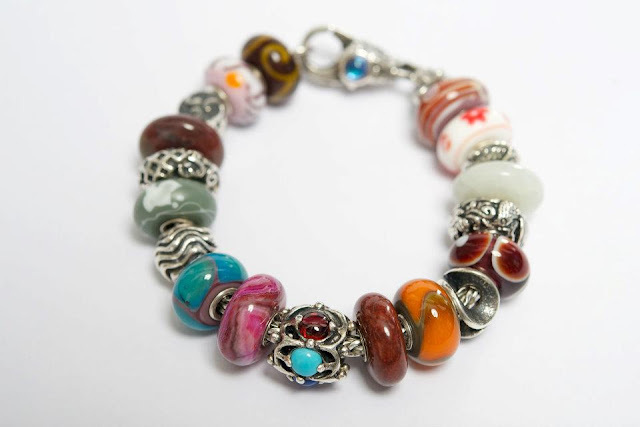 "Five precious stones that together symbolise wisdom. An opal for loyalty; an amethyst for peace of mind; a garnet for devotion and grace; a turquoise for courage and success, and a lapis lazuli for competence." 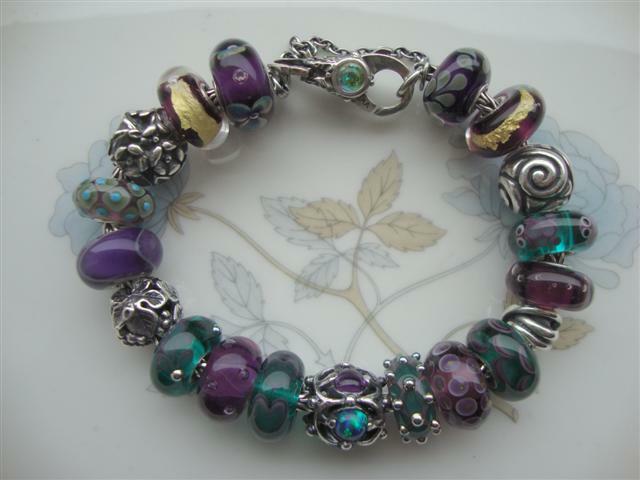 That is the official description for this next bead, Silver Wisdom. 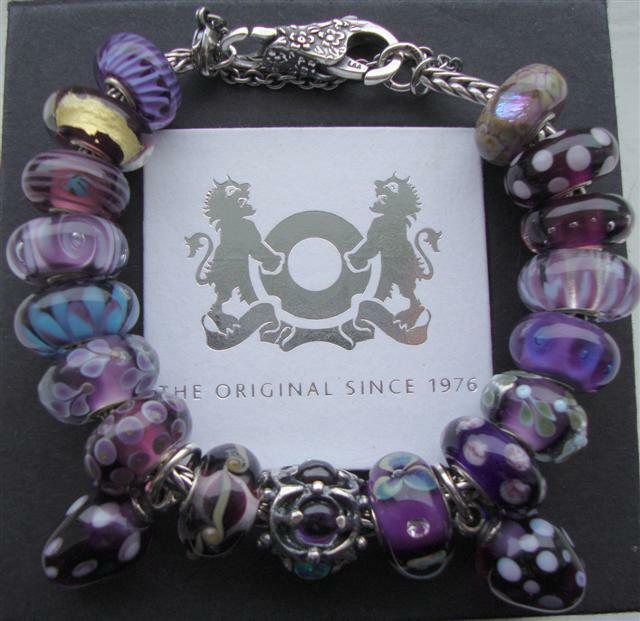 I've been really lucky to be able to secure this bead for my collection, and at a really great price, this was down to luck, timing, a lovely seller and a helping hand from Grandma in the form of Birthday and Christmas present money to help me out! I'm really glad that it was my Grandma that helped me buy this bead, I enjoy having beads that remind me of experiences, friends, families and stories. It was my Grandma who taught me to read before I went to school which started my lifelong love of reading, she did the same with her children before they started school, and with all her grandchildren and she's now making a start with her great grandchildren! 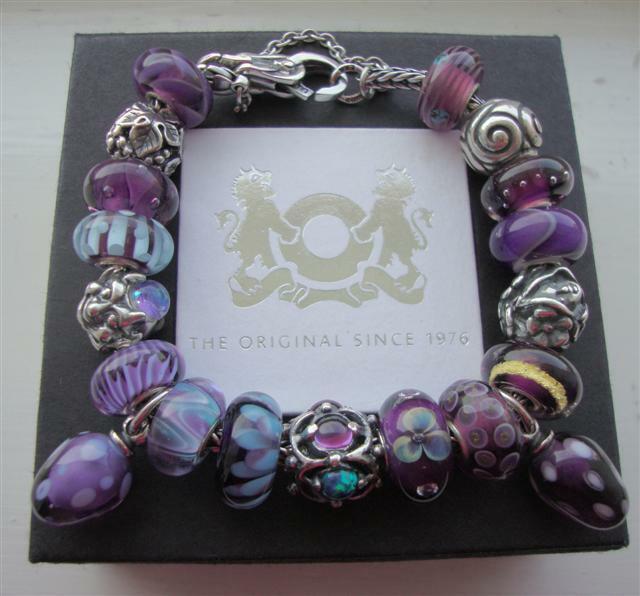 So for me, Wisdom, is a very apt bead to have come from my Grandma! 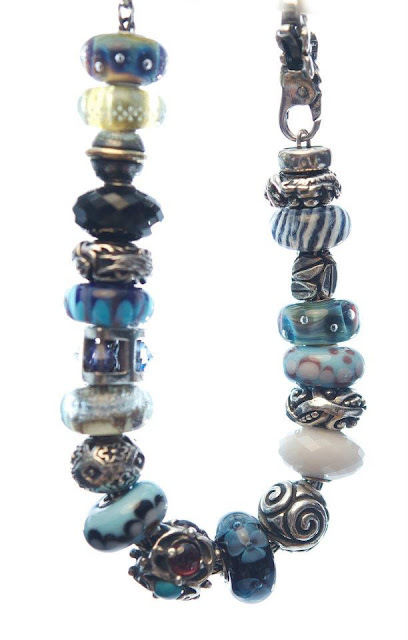 Here are the different sides of my wisdom bead, showing all the stones. However whilst I had fun playing with mostly glass beads, what I really intended was to make something with my zodiac birthstone stars. 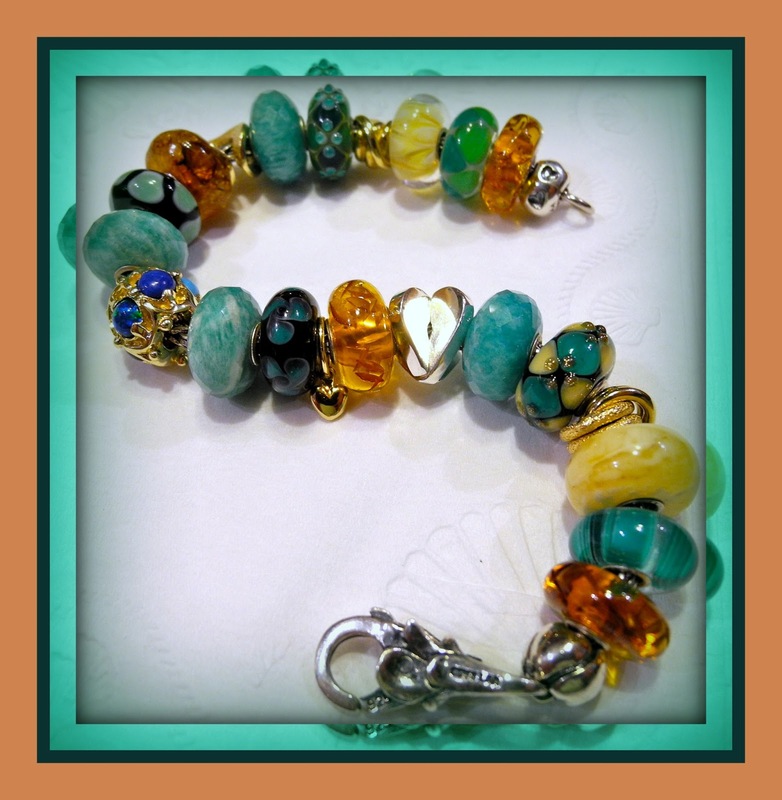 Here is my Wisdom & Stars bracelet, I opted to include a lot of colour in this one and I think it will remain a keeper for quite some time, unlike my usual make, wear and unmake approach to finished bracelets. Wisdom as worn by my Trollbead friends! 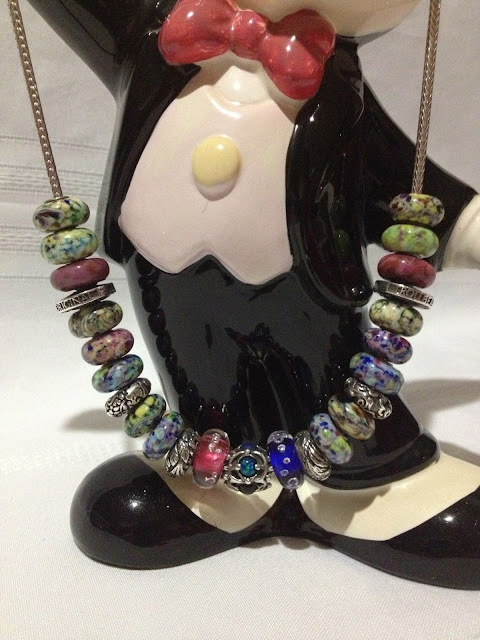 Wisdom is such a versatile bead that I asked a few friends if they would allow me to show you some of their bracelets and necklaces using Wisdom. They kindly photographed their creations for your viewing pleasure! 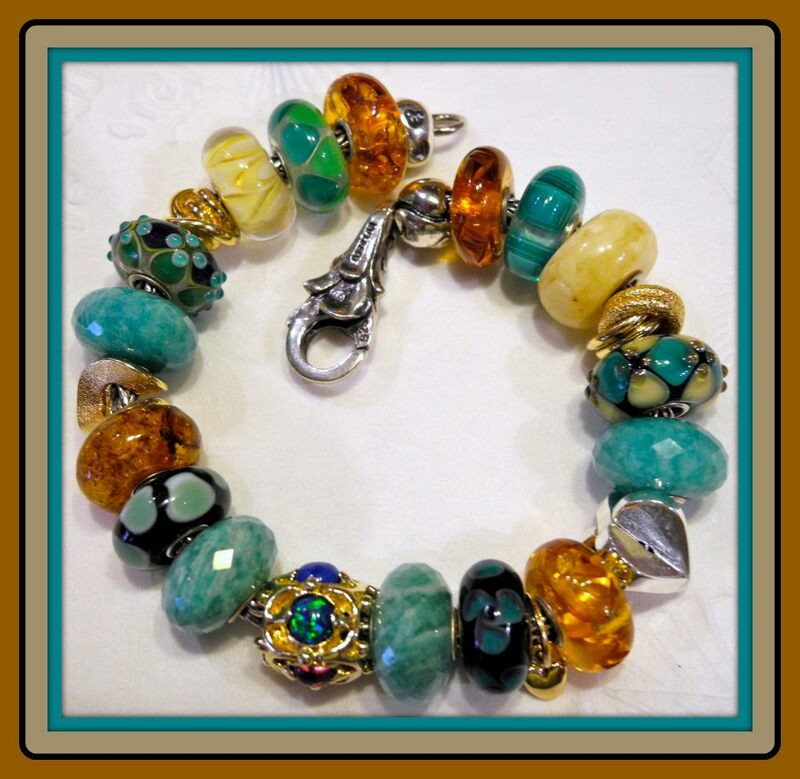 I love all of these combinations; the bracelet immediately above also contains beads from one of my favourite artisan bead makers, Christa Keizer at Luccicare, Christa makes some lovely beads so it's not a surprise to see other trollies making such good use of them!